Planning your HONEYMOON is an honor for us and one we take very seriously. 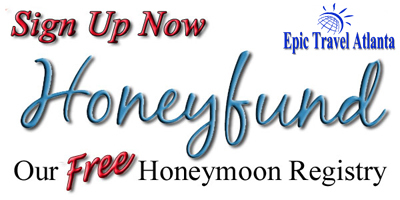 The Honeymoon should be calming and relaxing and a time to savor the events up to and including your wedding day. It's a special time to celebrate the beginning of a new chapter in your lives. Our goal is to help create the perfect experience! Thanks for visiting Epic Travel Atlanta, where it's our goal to create the Destination Wedding or Honeymoon you've always dreamt of! What makes us different is that we take the time to get to know you as a couple and what your "dream vision" of a honeymoon or destination wedding looks like. If you don't know what that is, we'll help you figure it out! We take your information along with your investment and give you our destination and accommodation recommendations best fitting your "vision". We guide you through the Destination Wedding process and connect you to and liaison with the wedding planners you will be working with once in destination. 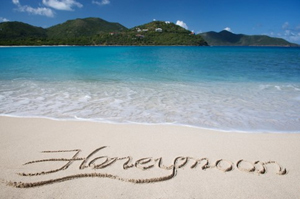 For honeymoons and destination wedding group travel we research and secure the best travel package pricing in addition to finding those complimentary Honeymoon and Wedding "extras"! We hold many expert agent certifications including Destination Wedding & Honeymoon Specialist, Sandals Resorts, Secrets/Dreams/Now/Zoetry Resorts, Couples Resorts, Palace Resorts, El Dorado/Azul Resorts, Sol Melia Resorts, Excellence Resorts, Hawaii, Fiji, Tahiti, Caribbean and Mexico - just to name a few! Finally, we provide customer support every step of the way! To us your experience of a life-time is not business, it's personal! We are so lucky to be a part of so many wonderful couple's lives with planning their first trip together as a married couple and hope that we will be able to assist you as well! Just like your love story your honeymoon will be Epic. Book Hard Rock and receive a room credit worth up to $1800!